Our client, John, was working as a Chemical Supervisor for Arkema, Inc., a French specialty chemicals and advanced materials company, when in 2015 he was forced to stop working due to chronic pain in his cervical and lumbar spine relating to degenerative disk disease and post laminectomy syndrome. John filed his own claim for long-term disability with Arkema’s long-term disability insurer, Liberty Mutual claiming that on account of his severe and crippling upper and lower back pain he was unable to perform with reasonable continuity the material and substantial duties of his own occupation. After having the medical records reviewed by its in-house medical consultant, Liberty Mutual agreed that he was disabled from his Own Occupation as a Chemical Supervisor and approved his long-term disability claim. During the course of the disability claim, Liberty Mutual strongly urged John to apply for social security disability benefits. It informed him that it was not only a requirement of the disability plan that he apply and pursue social security disability through every appellate level if denied, but it suggested that a favorable determination by social security disability could help in his disability claim. As urged by Liberty Mutual, John applied for social security disability. As the Own Occupation time period neared its end, Liberty Mutual began conducting its review to determine whether John was disabled from Any Occupation. Through its third-party vendor, MES Peer Review Services, Liberty hired Dr. Mark Reecer a physical medicine and rehabilitation physician to conduct a review of John’s file. After only reviewing John’s medical records, Dr. Reecer determined that John was capable of working eight hour shifts, 40 hours per week in a sustained capacity. After receiving Dr. Reecer’s opinion, Liberty Mutual promptly terminated John’s disability claim. Although hired with less than three months to compile all of the necessary medical documentation and legal evidence, Attorney Gavidia was able to create an ERISA Administrative Appeal, which resembled more a legal brief filed to a US Appellate Court rather than a document submitted to the Appeals department of a disability insurance company. 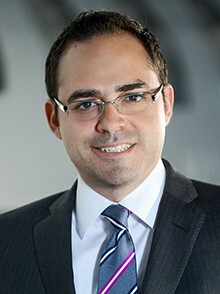 In the Appeal Attorney Gavidia attacked the credibility of Dr. Reecer and the accuracy of his report and also challenged the vocational review, which he argued misrepresented the physical functional demand requirements of the occupations which Liberty Mutual alleged John was capable of performing. After receiving Attorney Gavidia’s Appeal, Liberty Mutual overturned its decision to terminate John’s disability benefits and reapproved his claim. Attorney Gavidia and his legal team continue to manage John’s disability claim, so as to ensure that John continues to meet the proof of loss requirements of the policy so long as he remains disabled, and to monitor Liberty Mutual’s activities so that John never again experiences an unnecessary interruption to his disability claim and monthly disability benefit payments.